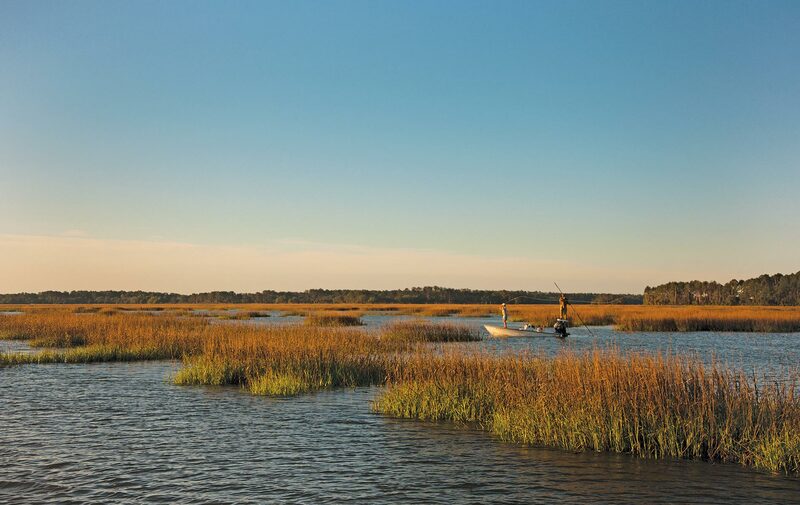 Salt marshes make for a stunning backdrop while guests enjoy water activities such as fly-fishing. It’s the best kind of math: One luxury retreat, renowned for indulgences like an aw-lawdy-that’s-good biscuit buffet plus several days of unforgettable fun equals a healthier you. It seems like a magic trick. 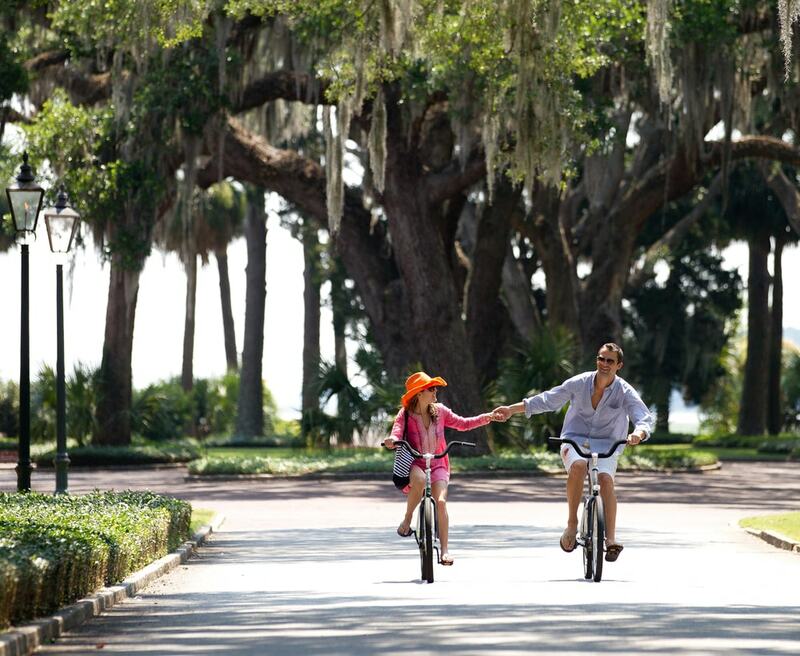 But then again, Montage Palmetto Bluff specializes in magic. 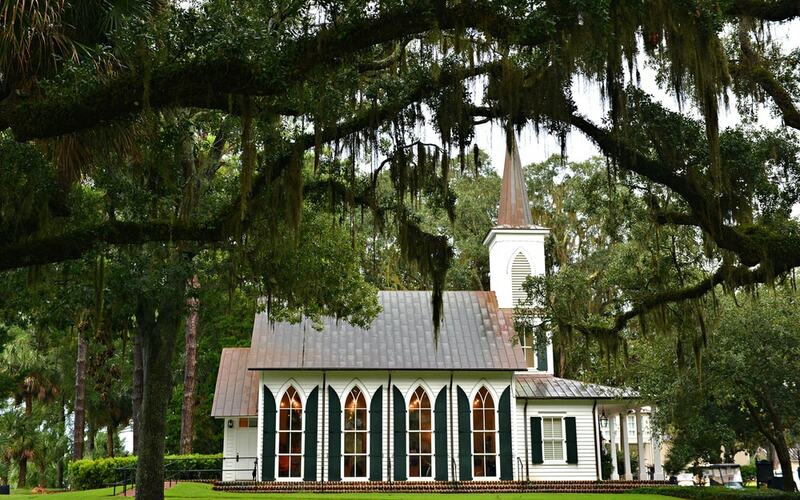 In this storybook setting between Hilton Head Island, South Carolina, and Savannah, Georgia, the scenery is exquisite, the Low-Country charm is turned all the way up, and the award-winning food and beverage program is among the best in the country. If you want to do nothing but eat, nap, stroll to the water, and then eat again? You’ve come to the right place. But if you crave nature-soaked activities that will burn off those biscuits—with some world-class pampering thrown in—the exhaustive list of daily options lets you have your cake and eat it too. Grab a travel companion (or five) and let this itinerary inspire you. 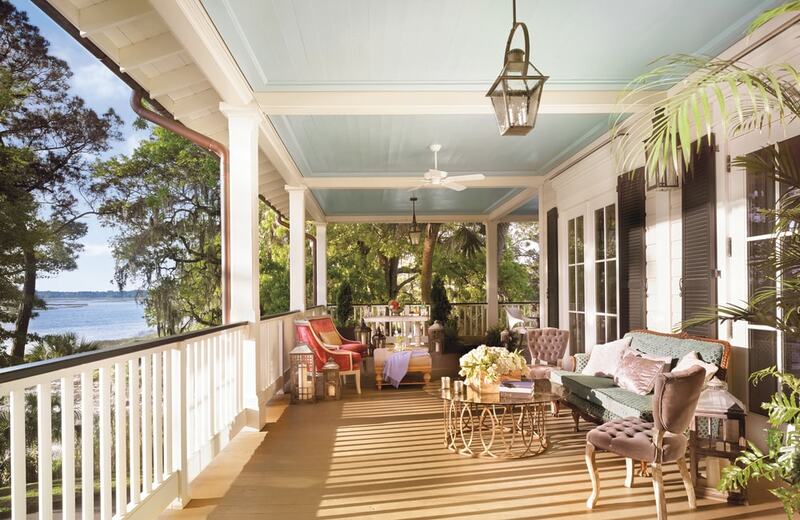 The ballroom opens up to this gorgeous veranda, perfect for an afternoon of sweet tea and soaking in the Low-Country views. 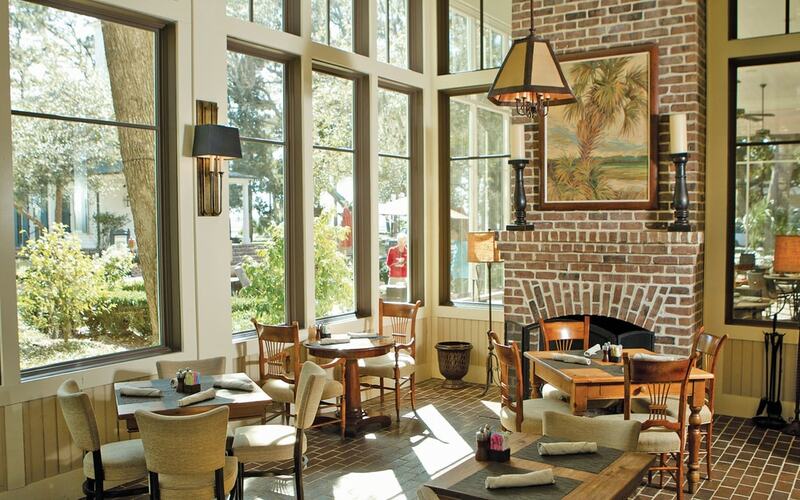 Nothing says “welcome” like Palmetto Bluff’s complimentary Culinary Heirlooms experience. The revolving sample menu of traditional Low-Country fare—like roasted oysters, shrimp and grits, or hoppin’ John—is the gastronomic equivalent of a warm hug. And it embodies the heartfelt hospitality you can expect during your entire stay. With your appetite whetted, settle in for a casual dinner at Buffalo’s, followed by another nightly institution: s’mores at the River House fire pits, featuring artisanal chocolate and handmade marshmallows. With a s’more in one hand and a drink from the River House Lounge in the other, your getaway has officially begun. It’s time to hit the famous biscuit bar at Buffalo’s for buttery down-home goodness accompanied by a staggering array of toppings. 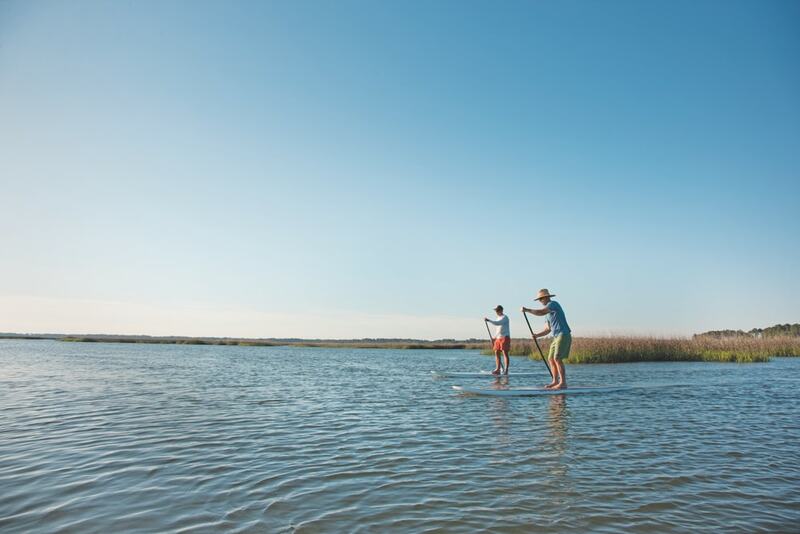 You’ll need fuel in your tank for a two-hour stand-up paddleboarding session on the May River, one of three scenic waterways that surround the property. Once back on dry land, head to Recreation and pick up a bicycle for a scenic ride to Moreland Village. While there, swing by the Palmetto Bluff Conservancy to learn all about the land and its diverse wildlife. You’ve explored by paddleboard and bicycle, so why not keep the theme going on horseback? At Longfield Stables, you’ll find not only the Palmetto Bluff horses ready to lead you on a stunning trail ride, but also a beautiful 173-acre farm complete with a covered arena and outdoor dressage arena. 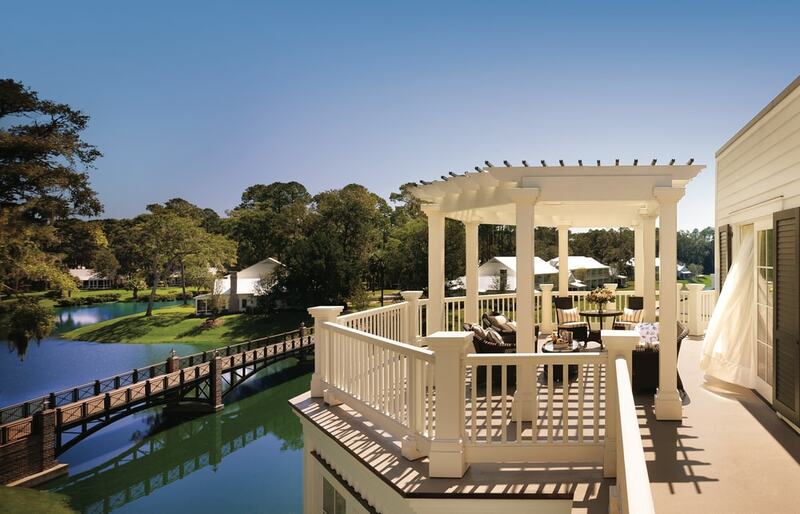 Experience the nearby waterways via the resort’s luxuriously restored 1913 yacht, Grace. 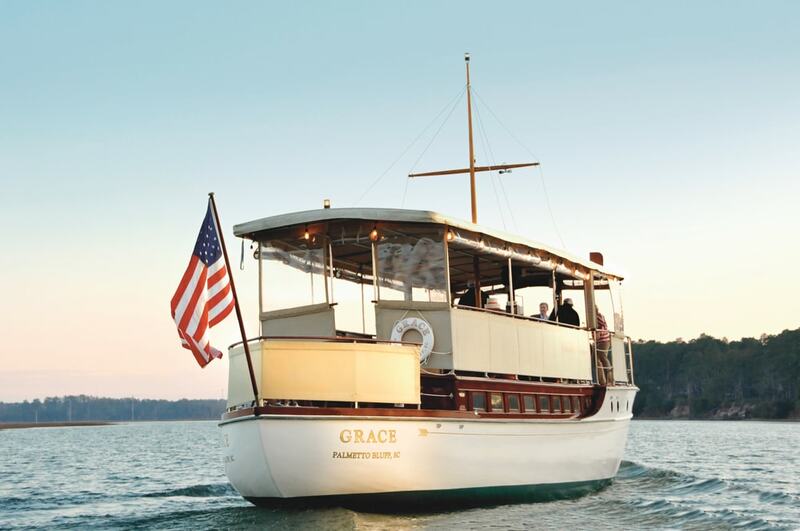 If it’s Saturday morning, head over to the dock and set sail for Mimosas on the May, an outing on the majestic motor yacht, Grace. In addition to mimosas and fruit, the sail includes entertaining stories about the vessel and life on the May River. Not a Saturday? Opt for a boat tour, a dolphin tour, or a fishing expedition. The next adventure is a blast. Literally. 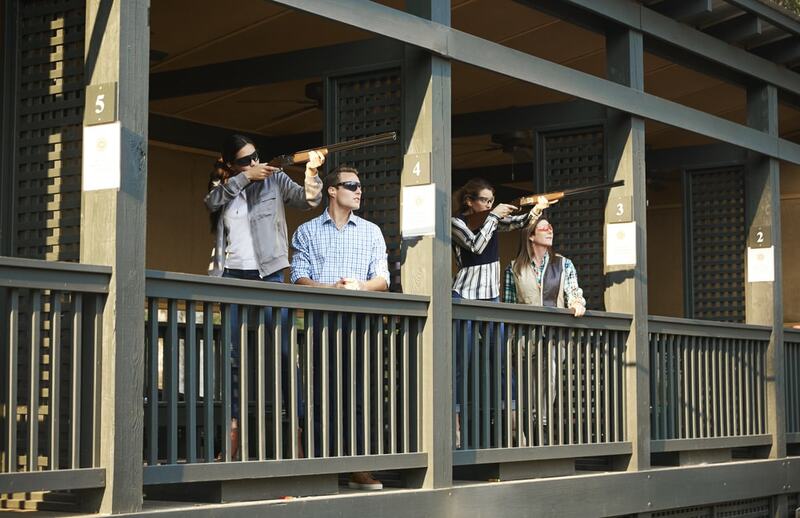 An afternoon at the expansive Palmetto Bluff Shooting Club is an exercise in pure fun, whether you’re an old pro or have never held a gun. Learn tips and tricks from the superb staff as you try the five-stand or take in the full thirteen stations. 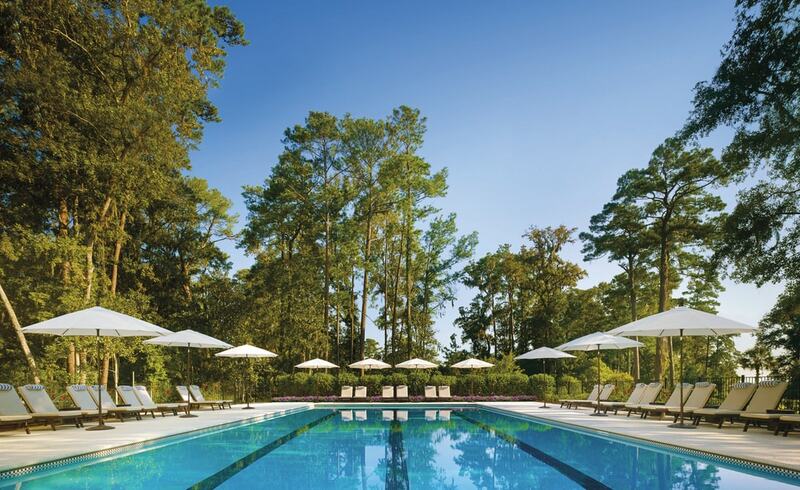 Squeeze in some more activity before dinner with laps in one of the gorgeous pools or a game of bocce at the Wilson Lawn and Racquet Club. Then toast the setting sun with inventive cocktails and sharable bites at Octagon Bar & Gathering Place, where evenings often include live music. The May River Golf Course winds through breathtaking Southern landscapes and provides a challenge for golfers of all skill levels. Sleep in a bit and then snag a quick bite from RT’s Market on your way to a tennis clinic at Wilson Lawn and Racquet Club. You’ll definitely work up a sweat—and make some room for a leisurely Sunday brunch at Jessamine. 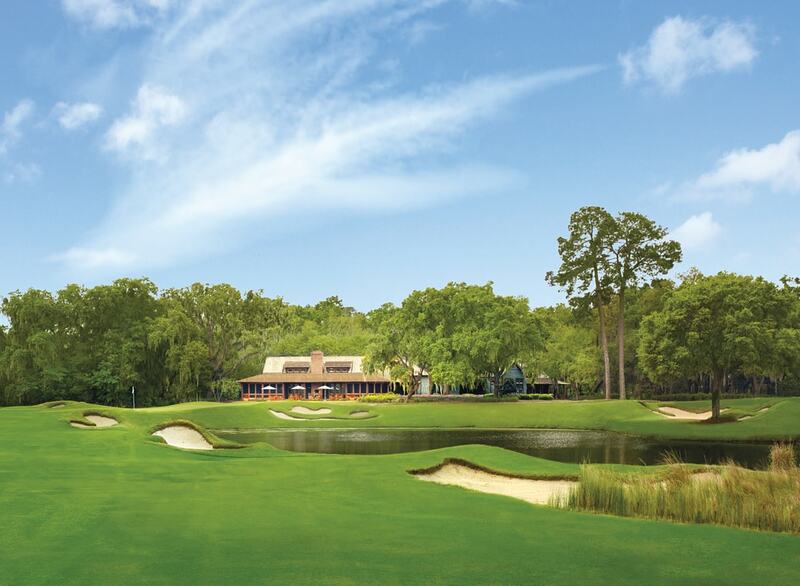 One of the reasons people flock to Montage Palmetto Bluff is its May River Golf Course, an ecologically sensitive Jack Nicklaus Signature Course. 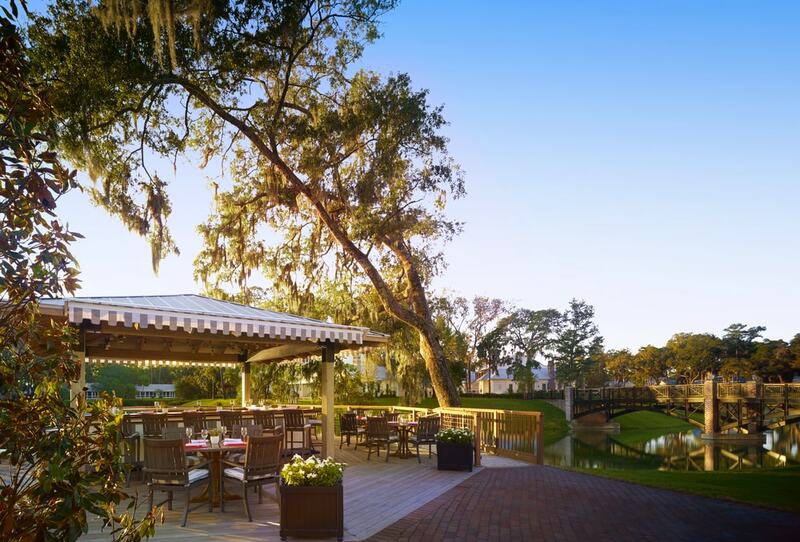 Take a few hours after brunch to walk the course, enjoying awe-inspiring views as you swing and putt your way through the May River Forest. Though you’ll want to stay forever, you’ll finish up at Spa Montage just in time to take in the sunset over the lagoon during dinner at Canoe Club. And, what the heck, maybe one more round of s’mores at the River House fire pits. It is your last night, after all. This morning, salute the sunrise and experience one more adventure on the May with a guided kayak tour. The smooth, calm water and frequent dolphin sightings will ignite your spirit, along with your hunger for breakfast. The final piece of the good-mood puzzle? Loving on the Montage’s canine ambassadors—four deliciously adorable Labs—during checkout. 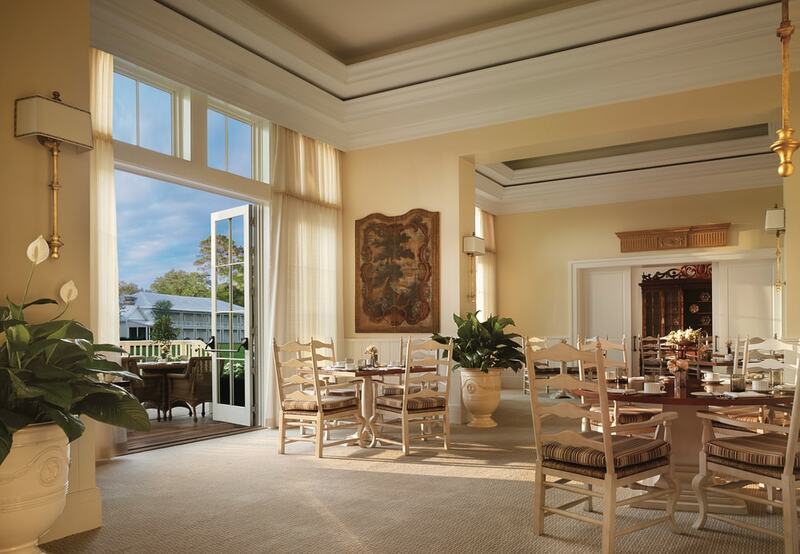 By the end of your time at Montage Palmetto Bluff, you’ll have learned a thing or two. The first being that you wish you’d booked more time at the property. The second is that it’s not so much the activities that are unique (though some certainly are), but rather the setting in which you experience them that makes the Montage so extraordinary. In this nature preserve with thirty-two miles of waterfront, there’s no corner of the twenty thousand acres where the landscape isn’t the star of the show. You’ve bicycled a thousand times, but have you ever pedaled along winding paths lined with massive, moss-draped live oaks? 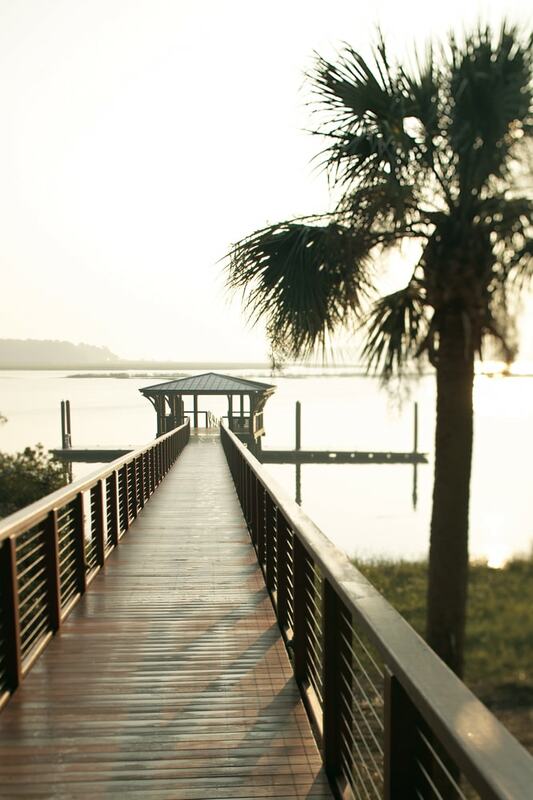 That’s the beauty of Montage Palmetto Bluff: every day is a fresh chance to nourish your soul and strengthen your body. Did we mention that they specialize in magic?